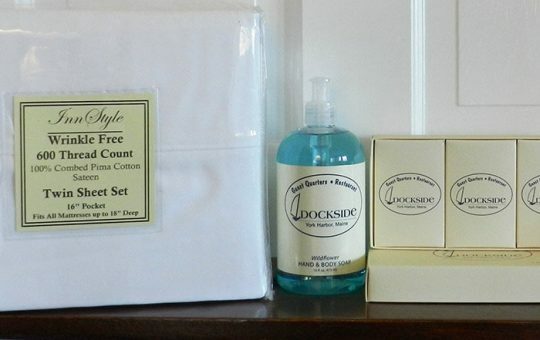 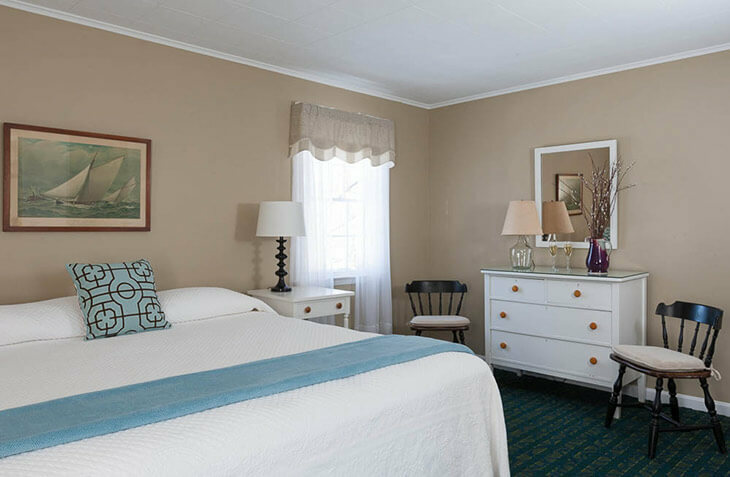 You’ve found the perfect room for your Portsmouth, NH area romantic getaway. 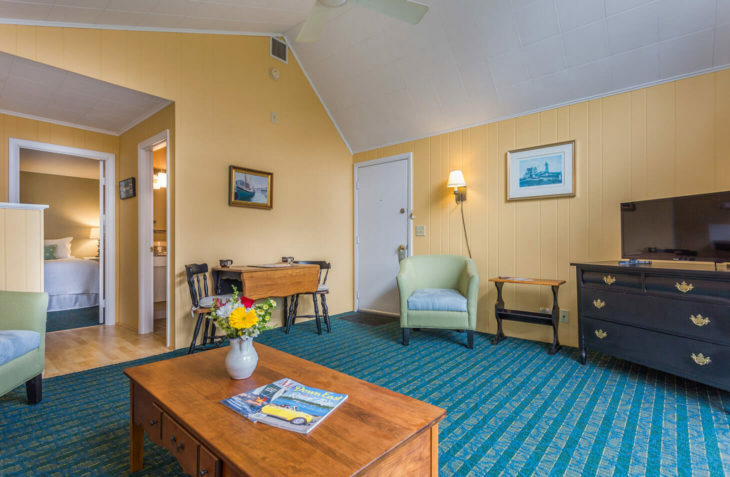 This second floor suite in the Lookout building offers a comfortable king bed and private bath. 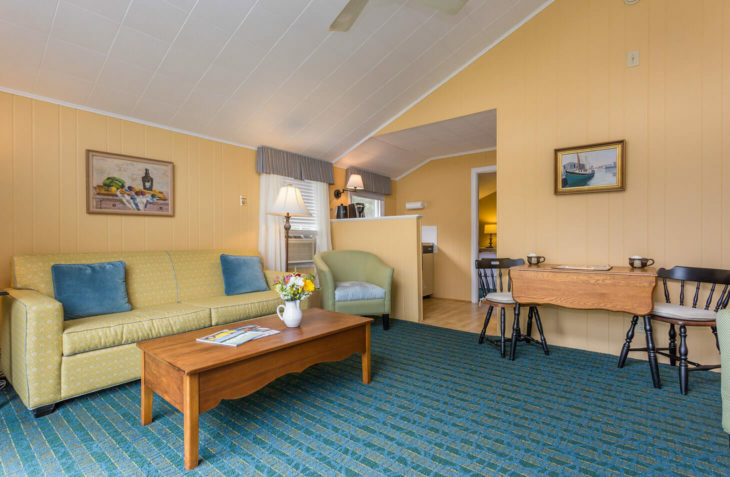 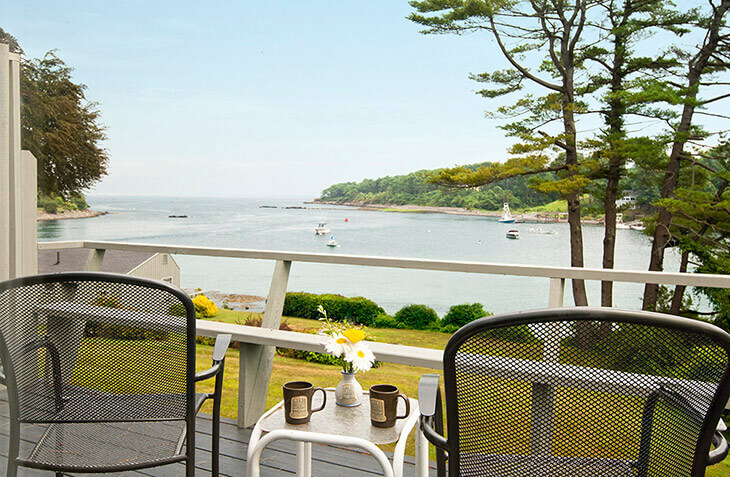 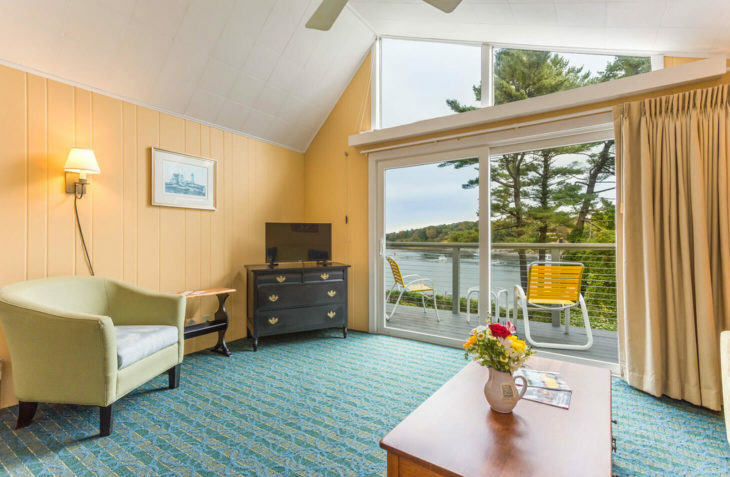 The kitchenette with dining table, living room with pullout sofa, private deck, and magnificent water views make this suite a special home for your Maine vacation.